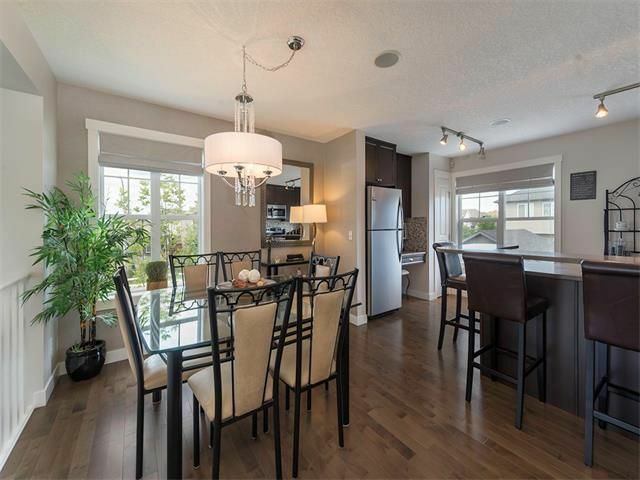 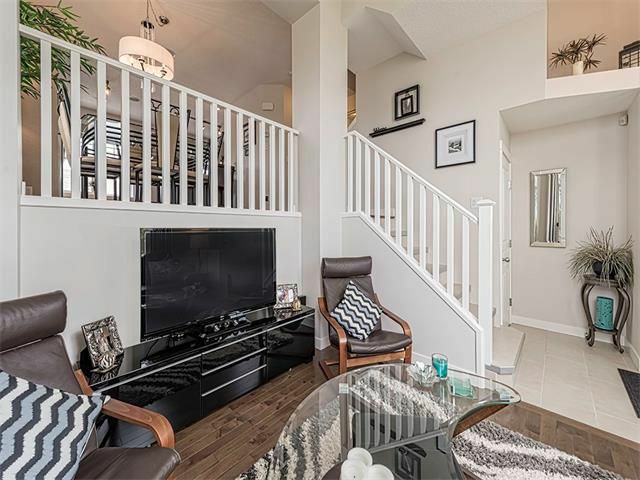 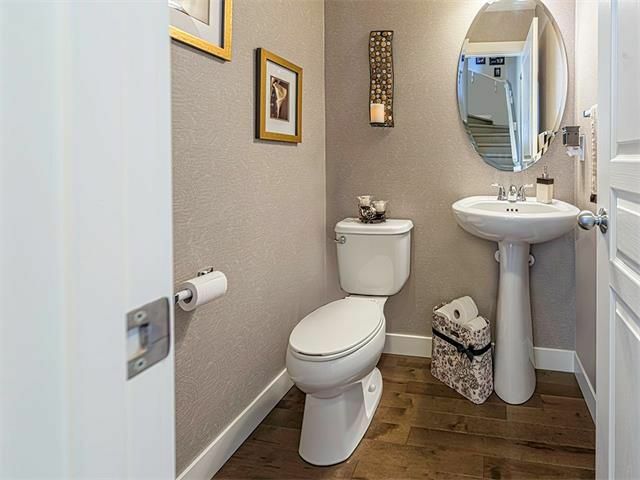 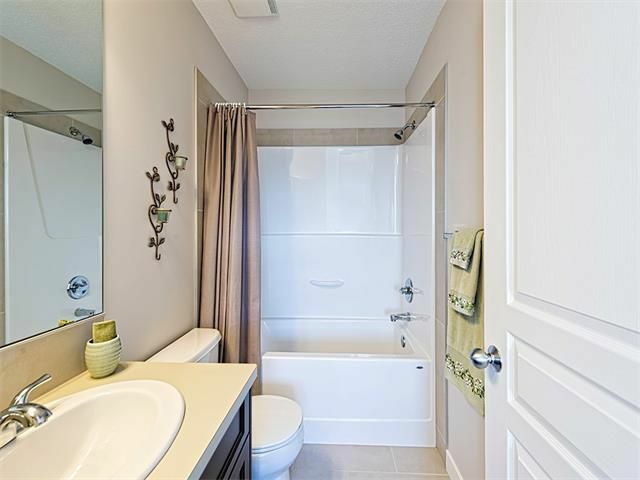 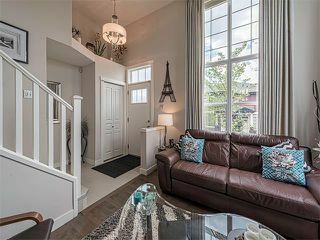 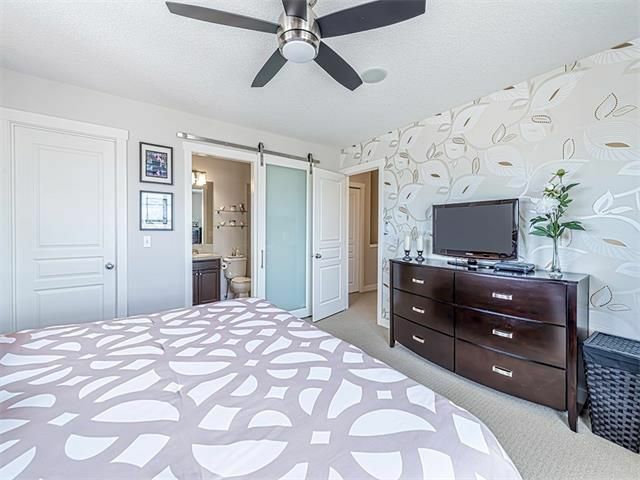 Spectacular upgraded former show suite end unit townhouse in Cranston. 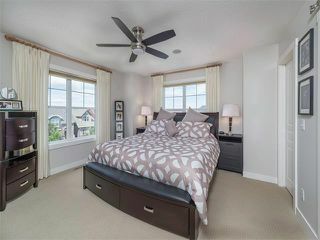 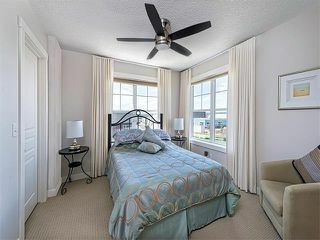 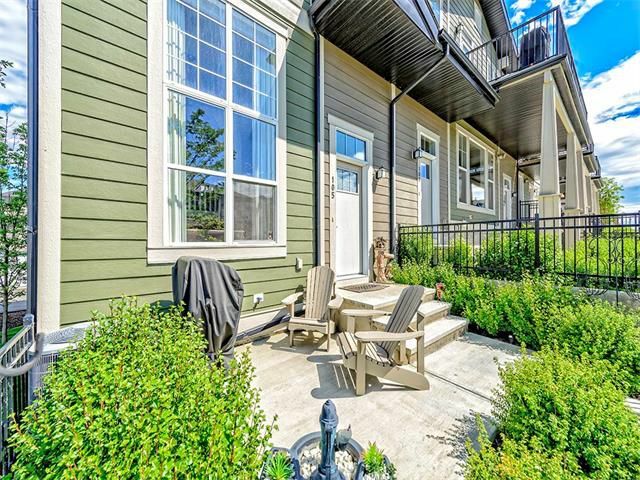 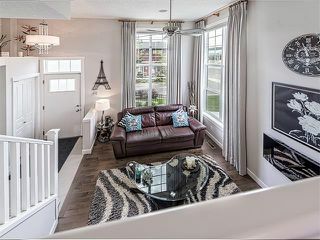 Picturesque private front courtyard preludes open concept main floor. 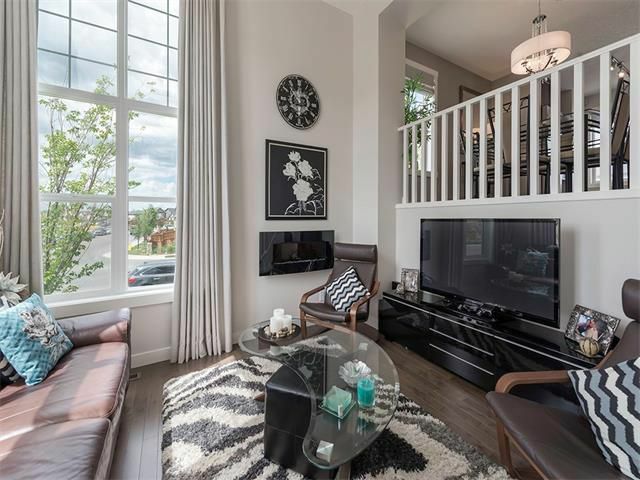 The sunken great room boasts soaring 13' ceilings, electric fireplace and huge windows allowing tons of natural light. 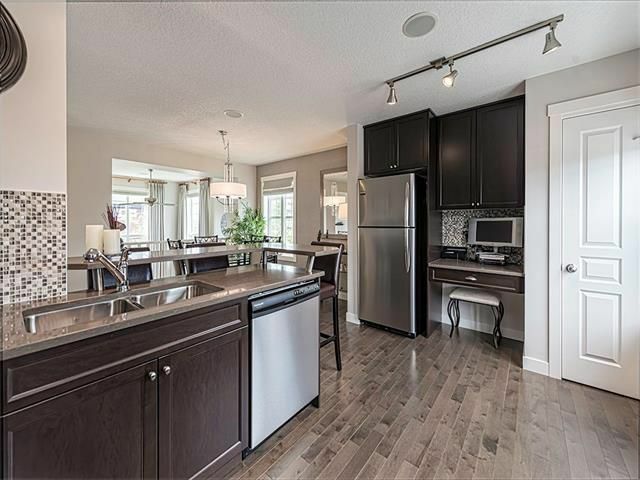 Spacious kitchen showcases peninsula island with raised eating bar, quartz counter tops, mosaic tiled backsplash, stainless steel appliances, full height cabinets with soft close drawers and doors all adjacent to the dining room. 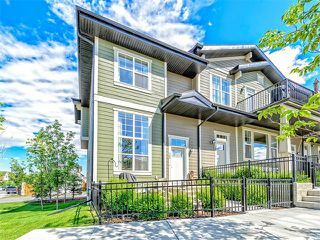 Upper level features two spacious bedrooms, each having their own ensuite bathrooms, walk­in closets and huge windows with mountain views. 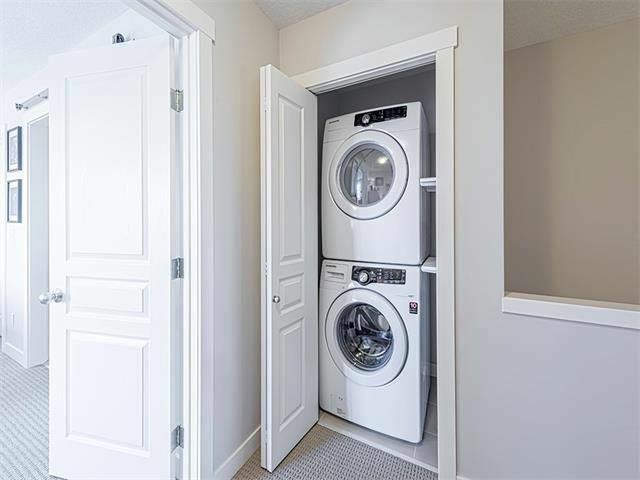 Laundry is conveniently located on the upper floor. 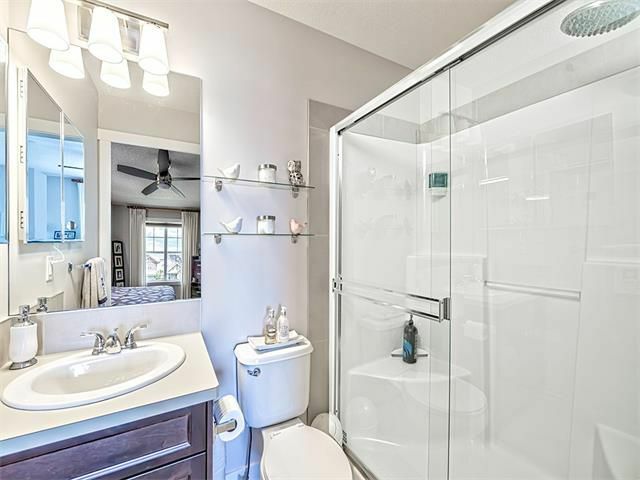 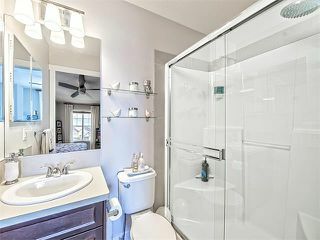 Modern designer colors throughout, numerous upgrades including tile, hardwood and carpet floors, air conditioning and built­in speaker system. Double attached garage. 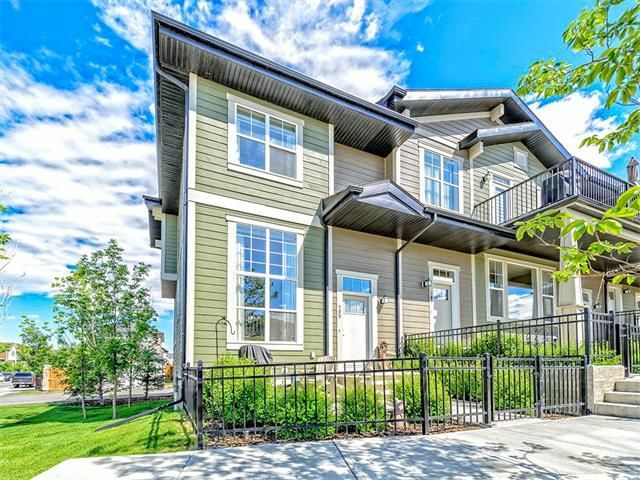 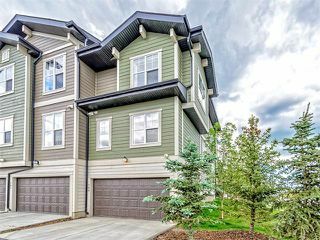 A stunning immaculate unit in an ultra-­convenient location steps from schools and transit and only minutes from the new South Health campus and commercial development. 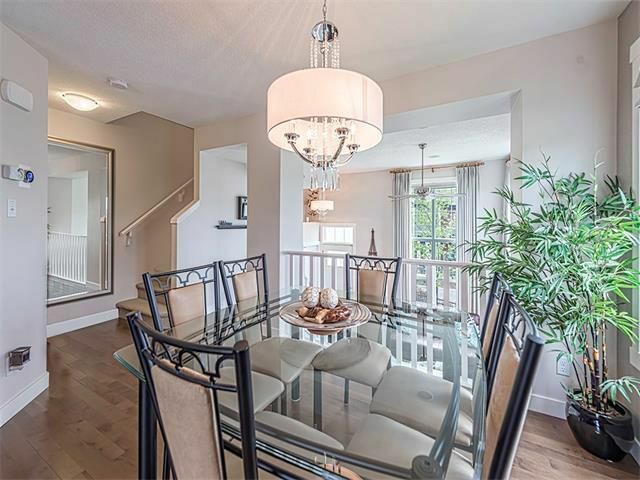 Stunning front sunken living room with dining room above. 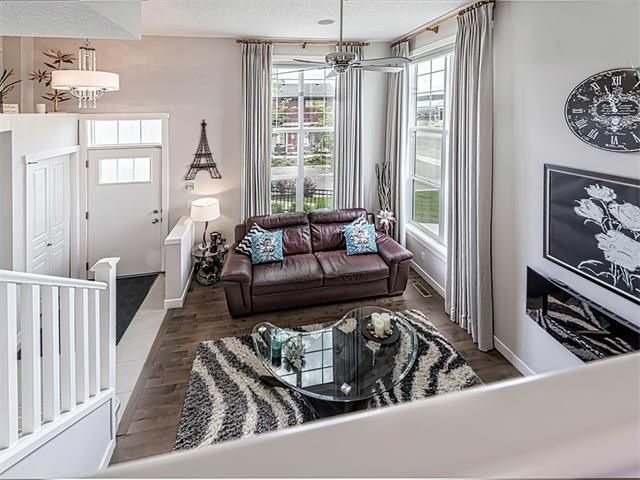 Sunken living room with soaring vaulted ceilings and huge windows allowing for loads of natural light. 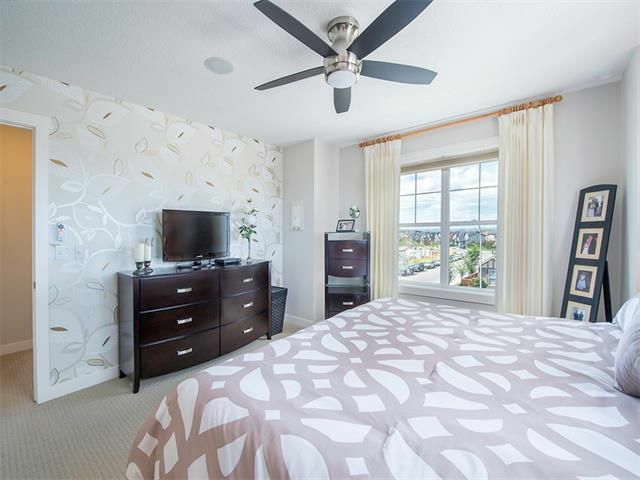 Ultra modern and trendy finishes throughout the unit. 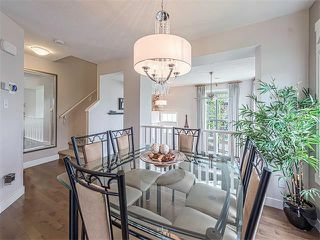 Dining room adjacent wit kitchen with gleaming hardwood floors. 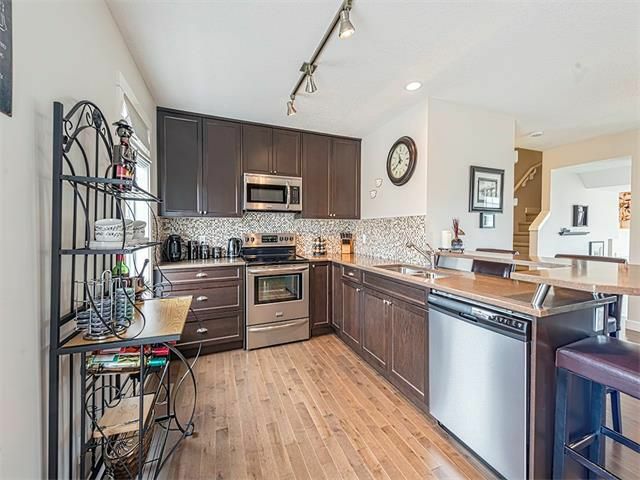 Spacious kitchen with lots of counter and cabinet space. Kitchen is trimmed with quartz counter tops. 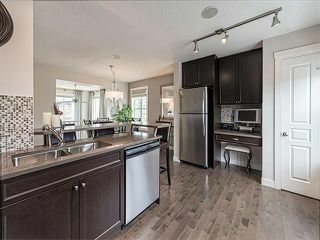 Kitchen overlooking the adjacent dining room. 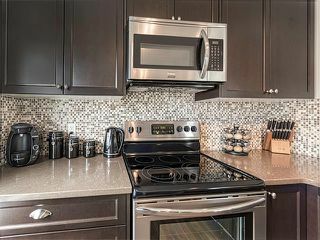 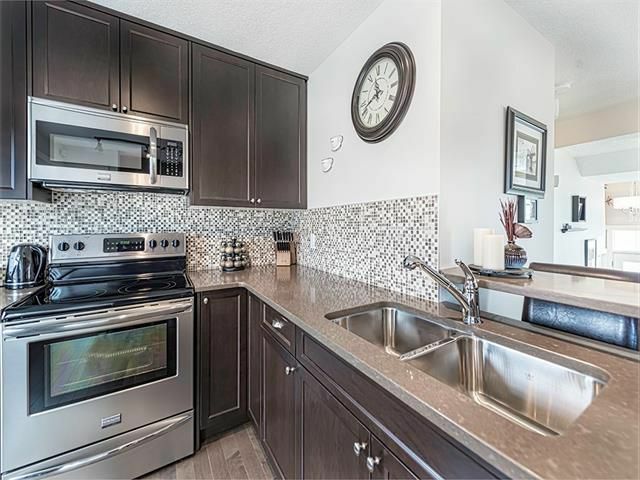 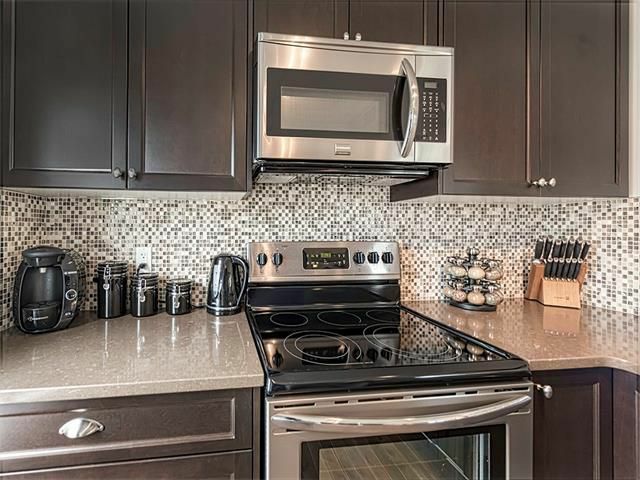 Kitchen boasts upgrades such as stainless steel appliances and mosaic tile backsplash. 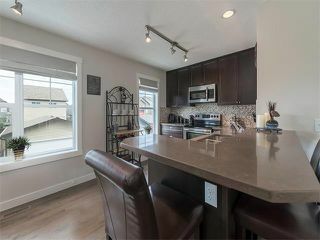 Peninsula island with raised eating bar. Main floor two-piece powder bathroom. 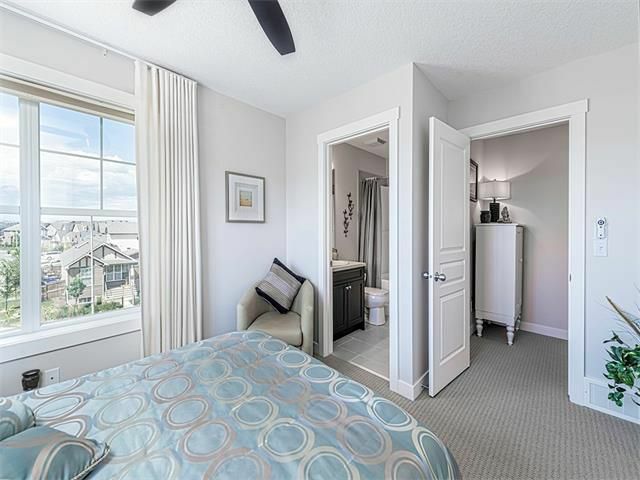 Bedroom with private ensuite bathroom. 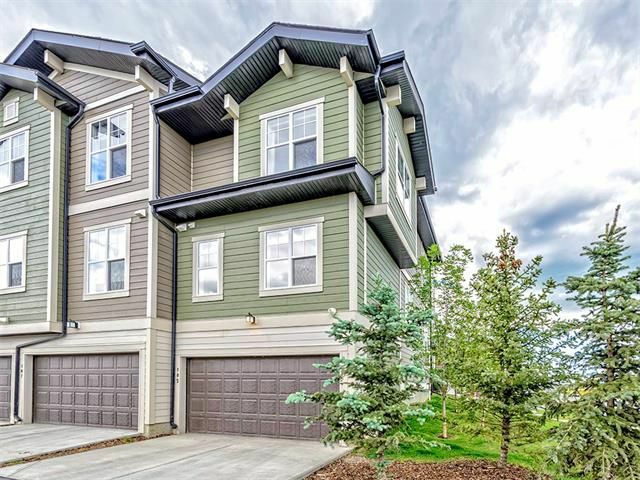 Exterior rear of the unit showcasing the double attached garage.